Here are the details of the party that would make any grown up wish she were a kid again. 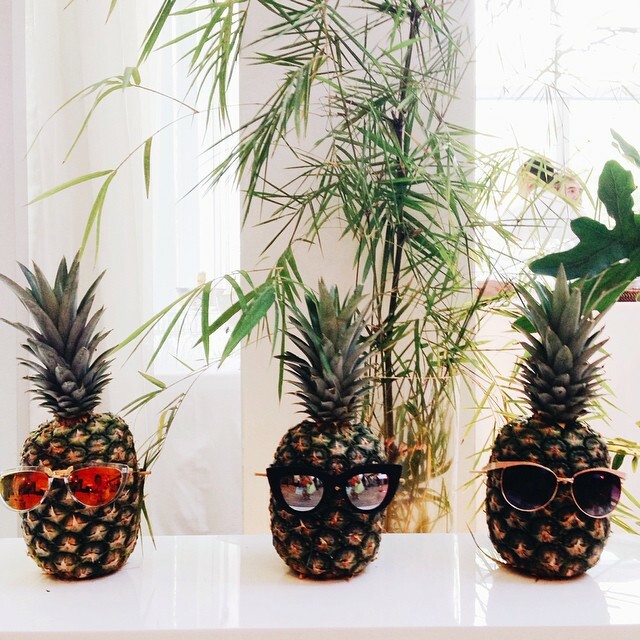 When it comes to eyewear, the brand Sunnies Studios almost always comes to mind. Last Sunday, October 19, 2014, the sizzling label everyone is talking about turned one and threw a kiddie-themed birthday bash that clearly exemplified what the brand is all about: fun, hip, and trendy. With the sun shining bright, and a happy-go-lucky crowd of A-listers ready to party, the place-to-be that Sunday afternoon was that house in Forbes Park North. With Georgina Wilson, Martine Cajucom, Bea Soriano and Eric Dee Jr. behind the label, we knew we were in for a good time even before we stepped into the party place. See for yourself below. 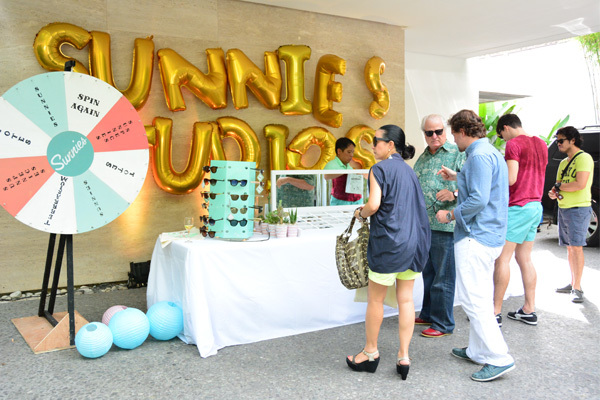 Upon entering the venue, you will be greeted by a booth consisting of an array of sunnies and a freebie roulette. You either get a super cute tote, a pair of sunnies, or a pair of specs. Their version of a personalized bag? One with your face illustrated by an artist on it! Everyone was high! High on sugar, that is. The house was a candy wonderland serving mountains of Pixy Stix, Nerds, cupcakes, doughnuts, liquid nitrogen ice cream, and all sorts of treats that could unleash the child in you. 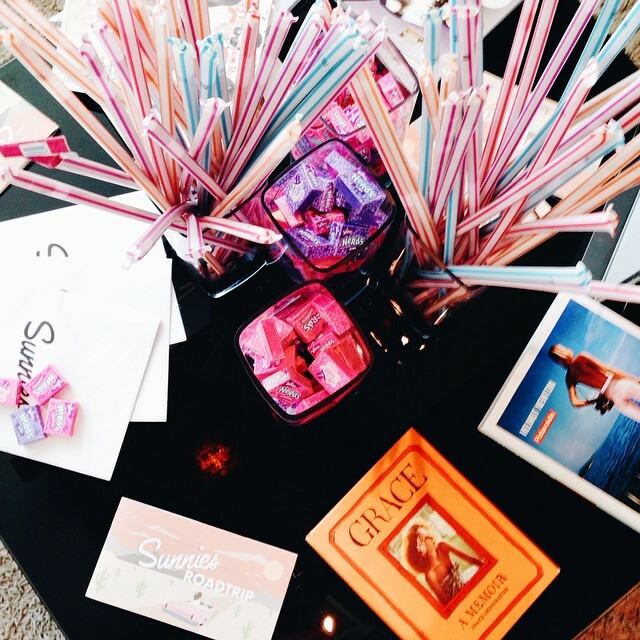 Speaking of treats, there were awesome sunnies everywhere! The best part? You can just grab, wear, and keep whichever style you fancy. Just don't steal the ones on the pineapples! Too cool, yea? Did we mention that there was a pool? We spotted Martine Cajucom and Solenn Heussaff bravely hitting the water to lead the pack. 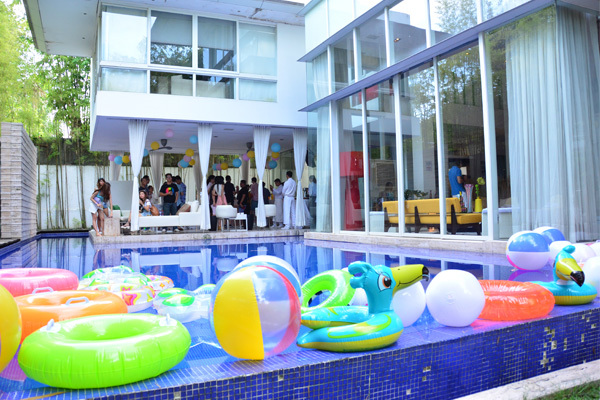 They, of course, knew that no house party is complete without a pool, beach balls, and other aqua toys. And as if that's not enough, there was also a huge castle inflatable where you can simply throw caution to the wind and be a kid again! How totally awesome and fun is that? Here are Jessica, Bea, Georgina, and Solenn giving it a go. It was indeed a party of epic proportions. Now click on the gallery to see the kids and the kids-at-heart who graced the birthday bash.